Our instrumental clubs take place at Marchmont St Giles Church, during weekdays after-school. These are beginner courses aimed at giving children an introduction into the fundamental skills in playing their chosen instrument. 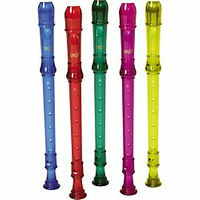 The recorder club proves very popular among children. A very gratifying instrument, children will learn quickly the basic techniques and be playing popular tunes. The Recorder Club follows a system of Colour Bracelets, where children progress at their own pace through levels, getting a more individualized learning experience, and keeping them challenged and interested. Together with recorder playing, children will learn how to read music and aural skills, and they will have opportunities to perform solo and in a group, so it is ideal as an starting point into instrument playing, specially wind instruments (saxophone, clarinet, flute, or similar). Finally, the Harp has arrived to Ritmico! There are many things that make the harp a perfect instrument to start your children in music. The most obvious is that the harp is one of the oldest (and possibly sweetest) instruments, but most importantly, the design of the harp gives a perfect graphic explanation of how music works: Strings that mirror the music stave, colour coded strings, basic layout of a piano, and most importantly, your children will learn to develop their listening and enjoy the music from day one. In the club the children will learn proper hand technique, aural skills, improvisation skills and the basics of music theory, in a repertoire of Celtic, Classical, Folk and Traditional tunes. 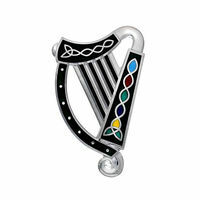 It is not a requirement to have your own harp, children will have harps and lyres at their disposition in the club, but advise can be given on the purchase of a basic harp adequate for children. This is a place for children to enjoy learning to make music together on the guitar. The children have fun playing together while learning the basics of playing chords (strumming) and melodies (picking). Children will be playing in a variety of styles including traditional tunes and the old favourite rock and pop songs. They will be encouraged to sing along the guitar and explore the basics of songwriting. The group is kept small (up to 6 children) for a more individualised learning. Children need to have their own guitar (classical or acoustic). No previous knowledge required.